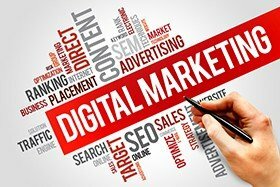 Almost everyone who has an online presence is involved in some form of digital marketing but what they often times lack is a proper digital marketing strategy. Some online marketing activities like SEO, social media optimization (SMO) and email marketing are so common that most people don’t even realize they constitute digital marketing. As such, there are a few website owners who will swear they have no idea what "digital marketing" means, and yet they are actually carrying it out. However, such oddities are rare. The majority of those engaged in local SEO Denver online marketing activities actually know what they are doing. What most of them lack is a harmonization of their different marketing activities for a common purpose. In other words, they lack a proper digital marketing strategy. What Exactly Is a Digital Marketing Strategy? A digital marketing strategy is a deliberate harmonization of marketing activities in order to achieve specific goals. The goals often involve gaining a competitive advantage in some aspect of the market. A marketing strategy doesn’t happen by accident. It has to be well-planned and thought-out i.e. deliberate. Digital marketing involves numerous activities e.g. social media marketing, email marketing, website retargeting, and so on. A strong digital marketing strategy blends these different activities to serve a specific purpose. A marketing strategy is aimed at achieving specific goals. Examples can include increasing sales, enhancing your brand, lead capture, creating an email list, increasing your rankings in organic search results, and so on. What Does it Mean To Have a Marketing Strategy? The end game of a marketing strategy is to achieve your specific goals. As such, the starting point is defining what those goals are. Those goals could be overtaking a competitor, recruiting more customers, remedying a bad online reputation or perhaps increasing company revenue. These are just examples but the bottom line is that you need to put in place specific goals to go after. Without specific goals, the various digital marketing activities you perform won’t benefit you much. It will be like having a high-precision weapon, but without a target to hit. So basically, all the potential will be wasted. A specific goal also enables you to harmonize your activities, use resources efficiently and see tangible results from your efforts. Therefore, the first question you need to answer to see whether or not you have a strategy is this: "have I clearly spelled out which goals I want to achieve through my marketing efforts?" Having specific goals isn’t enough. You also need a way to measure each of those goals. This is where success indicators come in. Success indicators are things you will use to determine whether or not you have achieved your goals. For certain goals, creating success indicators is simple. For instance, for a goal like increasing the number of customers, the indicator could be a specific number (e.g. 3000). For other goals e.g. enhancing your brand, creating success indicators isn’t quite straightforward but still you could measure that by reporting on the number of brand mentions (or lack of) in posts or social shares. The point here is that a marketing strategy must have clear success indicators for each of the goals it is trying to achieve. Therefore, the second (and third) questions you need to answer are: "Do I have success indicators?" And if yes, then "What are they?" Once you have your goals and success indicators, you now need a plan to make it happen. This is where an execution plan comes in. You can call it a "work-plan" or "marketing plan" but the diction doesn’t really matter. What matters is that you have a plan for achieving your goals. An execution plan provides a framework through which your marketing activities are carried out. It contains things like time-lines, main activities, responsible persons, budgets, and so on. In summary, the execution plan is like a roadmap towards achieving your specific marketing goals. The execution plan (or marketing plan) typically contains marketing processes and activities. Processes are basically tried and tested methodologies which you can use to execute your activities. For instance, one of the most popular processes is the marketing funnel. This is a four step process (i.e. raising awareness, generating interest, arousing desire and eliciting action) normally used for producing tangible results. This is basically making your website as user-friendly as possible but also making it very engaging to the point where the needs of your target audience is fully met. 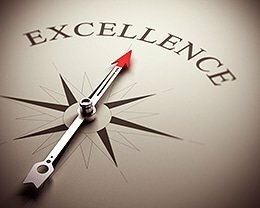 When visiting your website, the user experience should be a rich one and include aspects like making sure you're not serving up slow loading web pages, your website has easy readability over mobile devices, easy-to-use menu navigation, an appealing design, and relevant, well-written content on each web page. No matter what your goals are, UX will likely play a part in achieving them. This is basically making your web pages search engine optimized but still very user-friendly to your site visitors. It includes measures which make your web pages easy to index inside the search engines i.e. inserting the right types of keywords, proper keyword density, topically relevant and engaging content, internal page linking, authoritative outbound links, proper use of meta tags, proper use of header tags, optimized images, a sitemap, keyword proximity within your content, and so much more! This includes measures aimed at increasing the relevance of your website within your niche by creating high quality inbound links. Off-page SEO tactics include activities such as guest blogging, posting content on social media, writing press releases, sharing videos and posting great content that others would feel compelled to link back to from their website or social post. This involves boosting your social influence by stepping up your social media activities. It includes constantly updating your profiles, posting content on social media, promoting your product or service, replying to user comments and brand marketing across the major social media platforms. This basically involves using tried and tested marketing techniques. These include email marketing, list-building, and online advertising. The most important thing is that the digital marketing activities are carried out within a well-defined framework which is aimed at achieving specific goals. That framework is what is called a marketing strategy. Reach New Heights with Search Engine Optimization! If you want to harness the full potential of digital marketing, reach new heights with your business and rise above your competition, then you need to develop such a strategy as I've outlined here. Without a coherent strategy, your marketing efforts may seem to be effective. However, they won’t be as effective as those carried out around a solid strategy. Therefore, if you want to maximize the results of your marketing efforts, you need the right digital marketing strategy in place and that starts right here with hiring SEO Zones, the best SEO Denver company! In case you need help in developing such a strategy, simply contact us today and we'll be more than happy to develop one for you. Just call me (Mike) at 303-200-1000 to get started and let us work together on a digital road map to your business success. You can also reach me by email at [email protected] and let me answer any questions you have about our professional Denver SEO services or any of the other digital marketing services we provide. Hopefully you now have a better understanding of what it means to put in place a proper digital marketing strategy for your business. Take the first step toward reaching the top and fill out the form on this page. We'll send you a detailed report of what you need to do to better optimize your website to begin outranking your closest competition in Google. We want to be your go-to company for local SEO in Denver and strongly believe we can help you achieve first page ranking. Interested in learning more about how search engine optimization (SEO) can help grow your business and sales through increased website traffic? Just click on our SEO blog to read up on latest SEO industry techniques, proven SEO strategies, and helpful SEO tips that will take your local SEO efforts and business objectives to the next level. See you on the inside and at the top! Call me at 303-200-1000 for a Free SEO Consultation.